This recipe works with any kind of firm white whole fish. The ideal length for the fish is about the size of a big dinner plate. 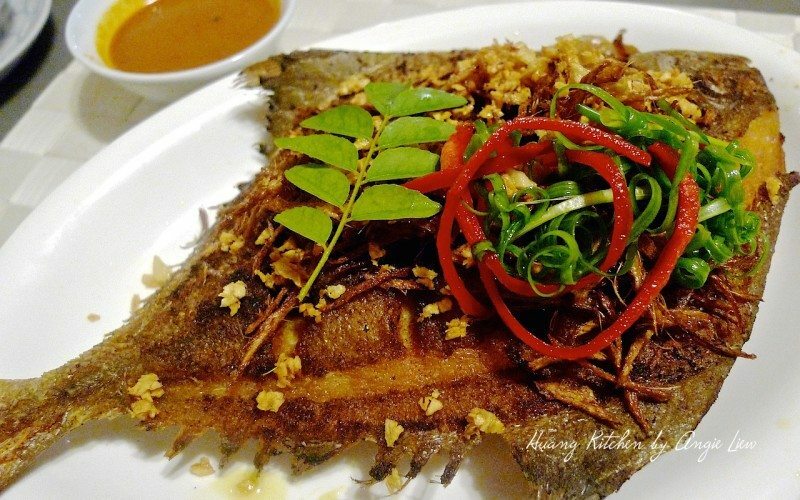 This is one fish dinner dish that will surely increase your appetite as it is crispy, meaty, crunchy and only a little spicy. It’s just perfect served alongside a fish curry dipping sauce. 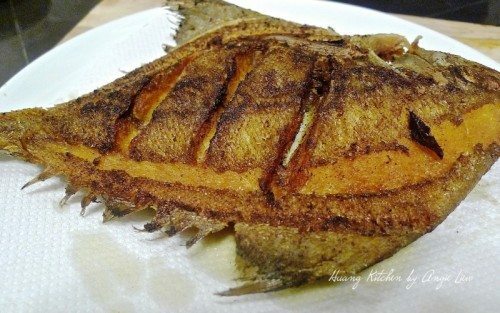 This recipe works with any kind of firm white whole fish. The ideal length for the fish is about the size of a big dinner plate. 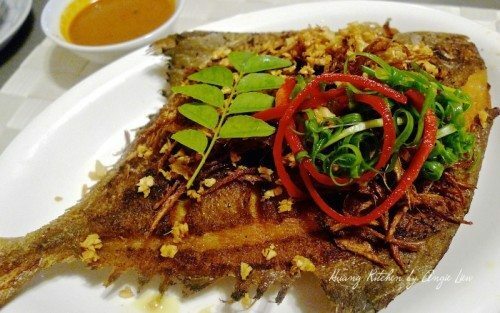 This is one fish dinner dish that will surely increase your appetite as its crispy, meaty, crunchy and just a bit spicy. It's perfect serve alongside a fish curry dipping sauce. Wash, rinse, scaled and gut the fish. Make 2 slits on both sides. Drained and season with salt and fish curry powder. 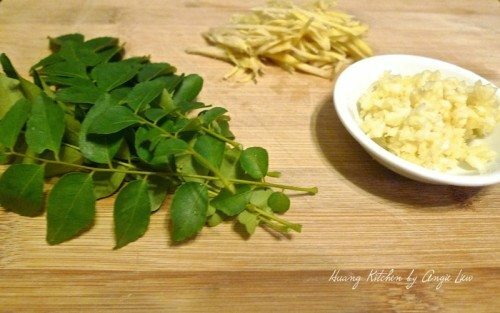 Wash, rinse 1 stalk of curry leaves, julienned the ginger and mince garlic. 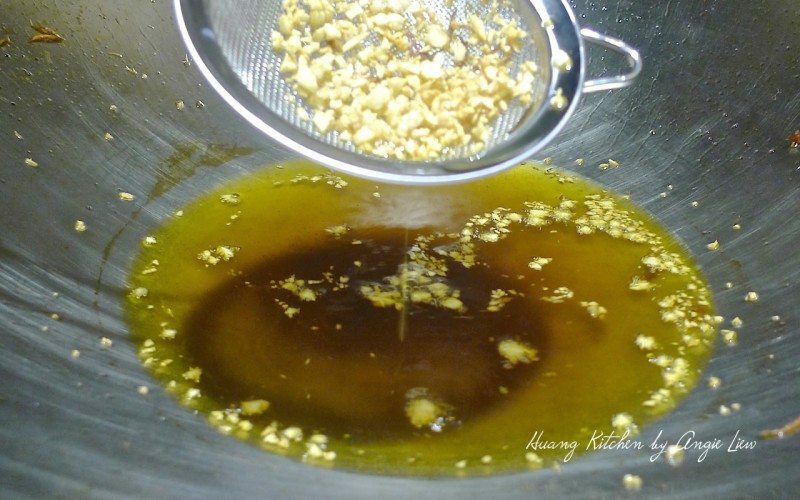 Heat up the oil in a large wok. Add the stalk of curry leaves and fry until it turn brown. 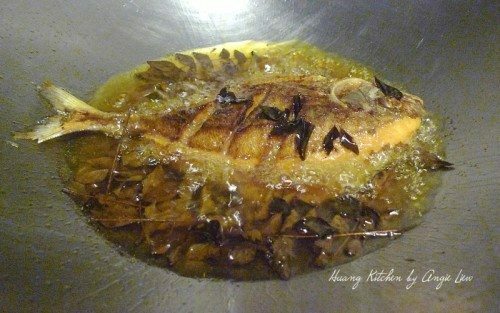 Gently put the seasoned fish into the hot oil. It's fine if the head and tail are not submerged. 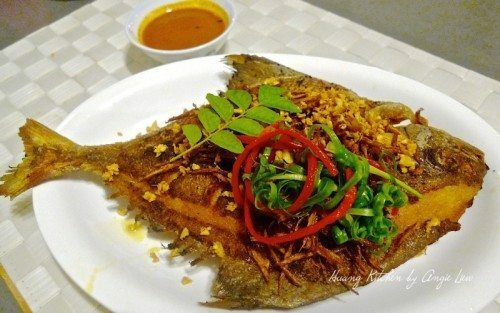 Use a large spoon to baste the fish with the hot oil as it cooks. Leave to fry for about 5 minutes (depending on the thickness of the fish). Fry it till very crispy and golden brown. Carefully flip the fish over. Fry for another 5 minutes. 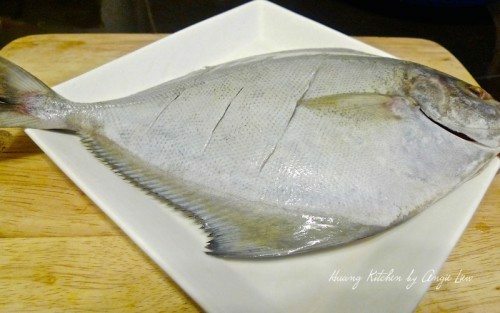 When the fish is cooked, remove and drain on kitchen paper. Then lay the fish on serving plate. Using the same hot oil, fry the ginger strips till golden brown. Strain and sprinkle on top of the fish. Next fry the minced garlic until they are a lovely brown, remove to put over the fish. Garnish with some red chilies and serve alongside a curry dipping sauce and white rice. 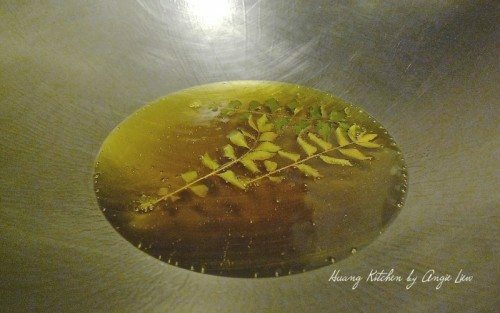 First rinse and drained curry leaves, julienned ginger and minced garlic. Scale and gut the fish. Then wash and drain well. Make 2 slits on both sides of fish. 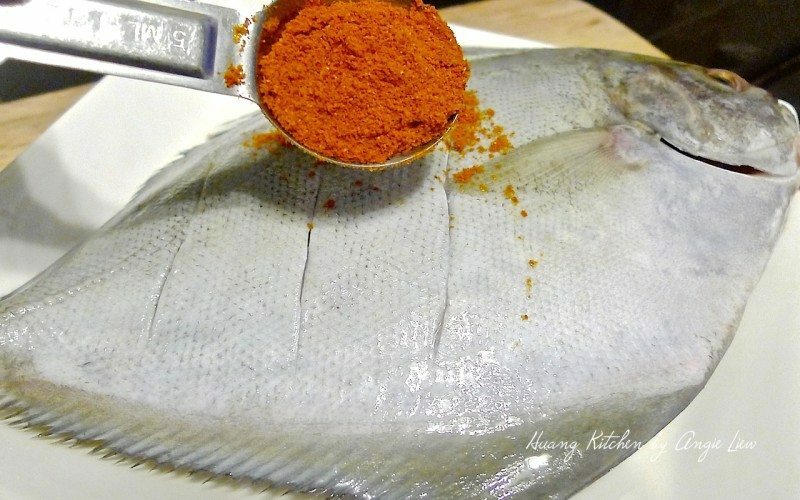 Season with salt and fish curry powder. Then set aside. Fry the curry leaves till golden brown in a wok of hot oil. Gently put the seasoned fish into the hot oil and fry for about 5 minutes till it is very crispy and golden brown. 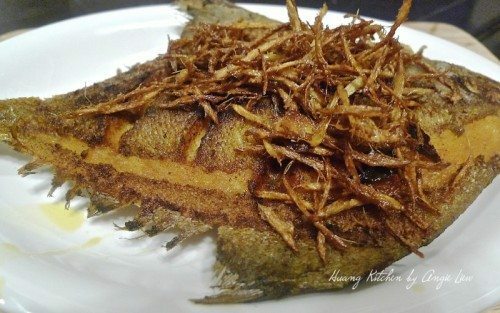 Carefully flip the fish over and fry for another 5 minutes until golden brown and crispy. 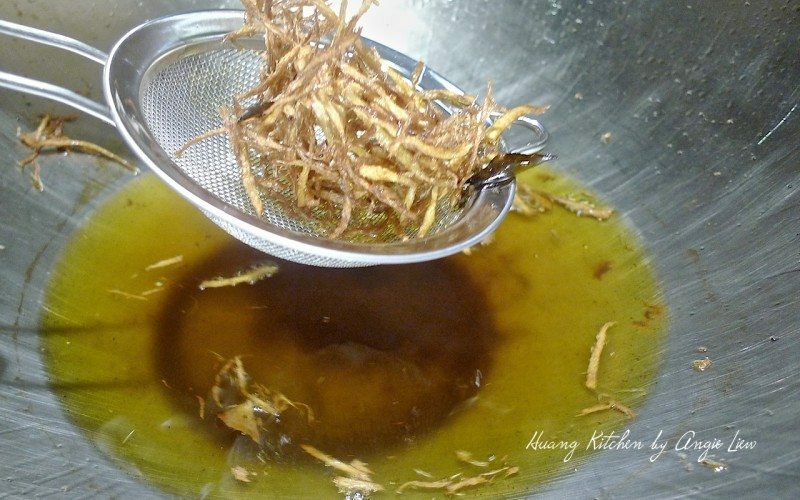 Using the same hot oil, fry the ginger strips till golden brown and strain off the oil. 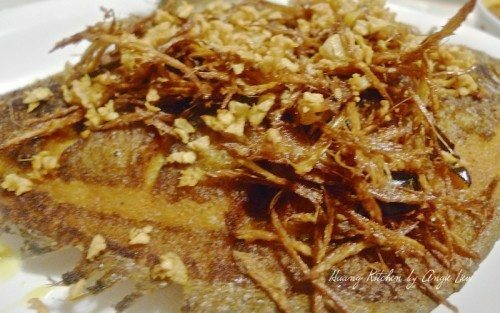 Strain and sprinkle the fried ginger strips on top of the fish on a serving plate. Next fry the minced garlic until they are a lovely brown. Remove to put the aromatic browned mince garlic over the fish. And we’re done! Garnish with some red chilies and serve alongside a curry dipping sauce.